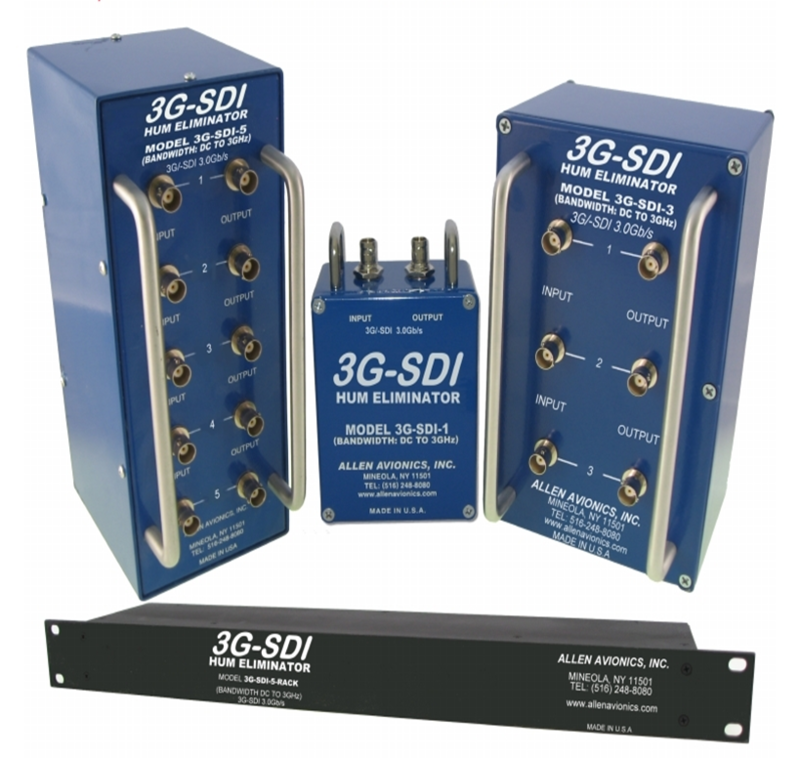 Our 3G-SDI Hum eliminators reduce jitter caused by induced noise effects for the High Definition broadcast chain. Unstable signal sources, poor re-clocking systems and cable attenuation can be the demise of digital signals. 3G-SDI Serial Digital signal transmissions at 2.970Gbps over a cable contain a range of low to high frequencies like analog signals and are subject to analog-type distortions like induced noise as well as unique digital distortions related to sampling and quantizing. These distortions may result in a variety of visible impairments. Unlike analog signals, the digital signals do not degrade gracefully and are subject to a cliff effect. Using the Allen Avionics 3G-SDI Hum Eliminator you can eliminate the potential for this kind of data loss, see Outgoing Video. The model 3G-SDI Hum Eliminator supports the four transmission rates up to 2.970Gbps and supports SMPTE 424m.